I have been looking for a winter/spring travel scarf for a few months now. 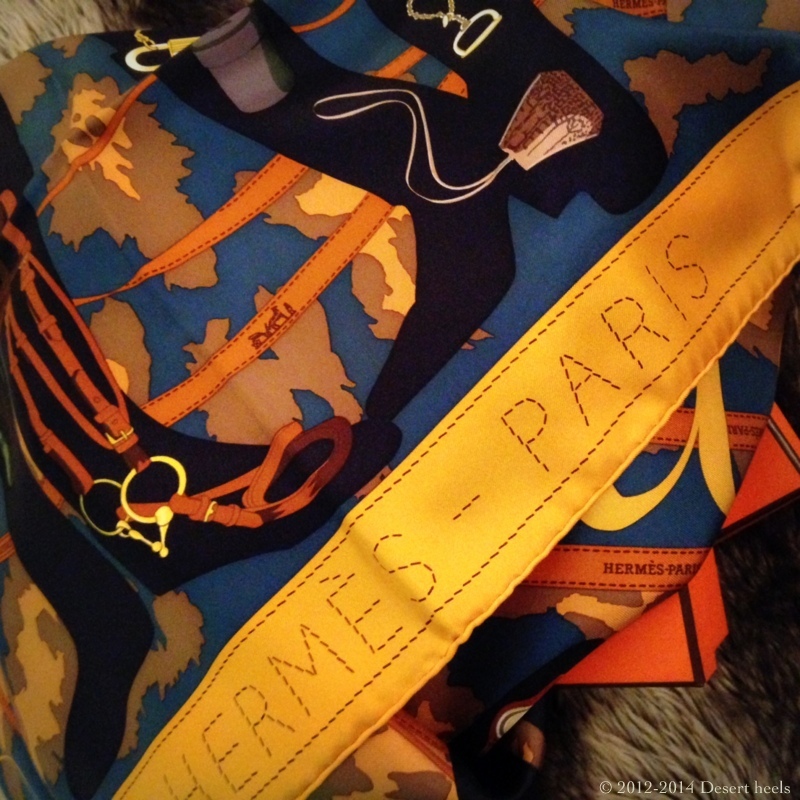 I was wanting another silk twill scarf from Hermès because they are simply indestructible. The cashmere scarves are absolutely gorgeous but I’m a major klutz and I know that I’ll snag the delicate material and ruin them within thirty seconds, so that option’s out of the window. I am very happy that I found this print in these vivid colors from the Monsieur et Madame collection just recently. After months and months of browsing my local H store, I decided to make this the newest addition to my collection. The combination of the teal, golds and oranges is just stunning. The print is corky and classic too. I was speaking to a girlfriend the other day and she was telling me how confusing it is for her to shop for scarves. 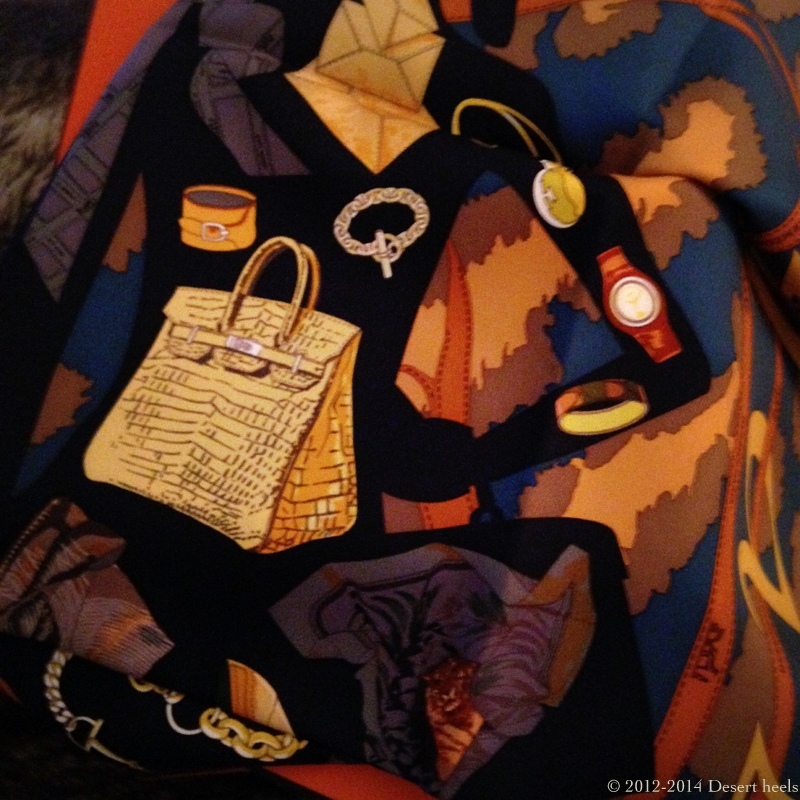 I understand the daunting task as I still run into the same dilemma every now and then, but I have learned a few things in the last couple of years that have helped my scarf shopping less stressful and more pleasurable. Decide when or how you’re going to use it. Season and reason. That will determine what material you’ll go for. Go for an interesting print. 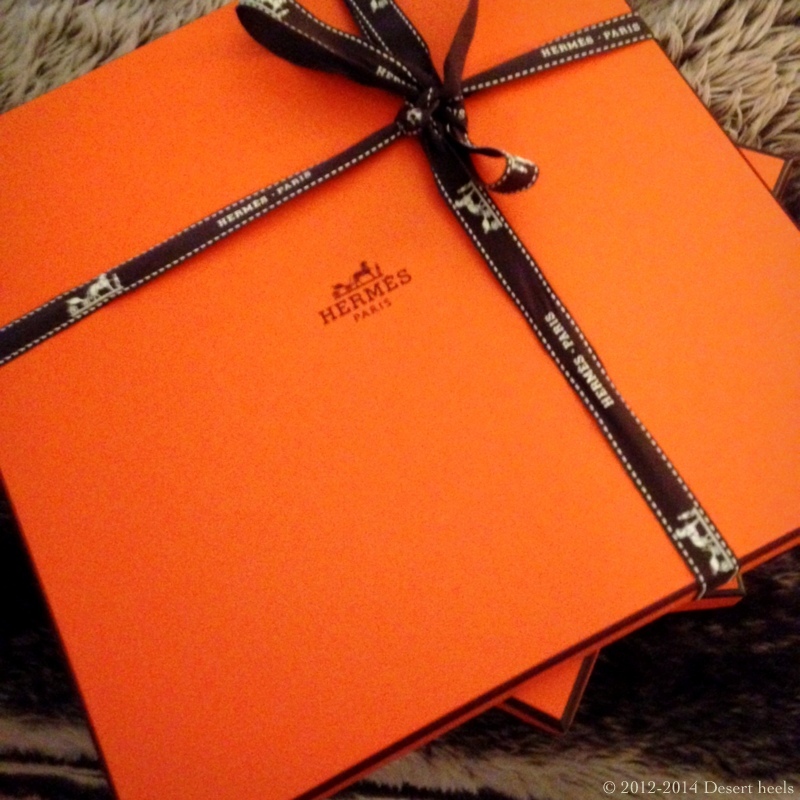 Hermès destroys what they don’t sell, so when you see something you love, chances are you will never see them again. Don’t judge the scarf when it lays flat. The true beauty should be decided when it lays on your shoulder, or folded around the neck. My most used scarves were rarely love-at-first-sight, so change your perspective as the colors transform to something more beautiful as you play with them. Go for big blocks of color on the opposite sides of the scarf, or shades that are more spread apart. That will extend the use you will get out of the scarf, as it will look different with every fold and twist. 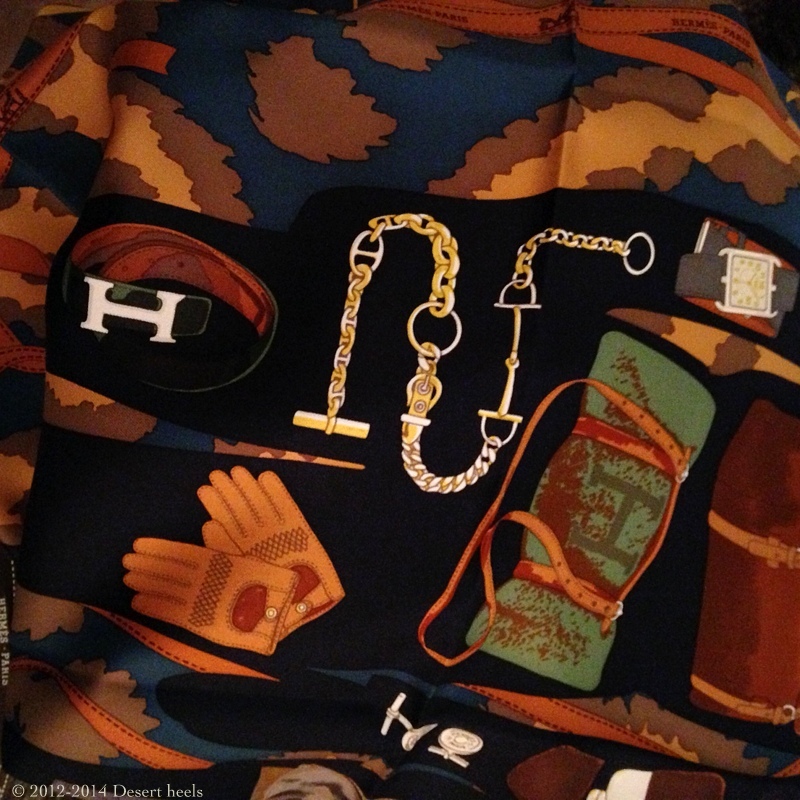 Wear the most prevalent colors you have in your wardrobe when shopping. This will help you figure out if the scarf you are considering updates what you have in your closet. That is what this classic accessory is for: to make you look like a better, chicer version of what you already are. Take your sweet time. They are pricey and special purchases but more importantly, make the experience a precious memory. that’s heart breaking to hear that brands destroy their things…(i’ve heard through the grape vine that Vuitton does this too) considering all the hours of labor that whoever made them put into them. I would be devastated to see it go into a furnace. i hope such things are an absolute last resort.